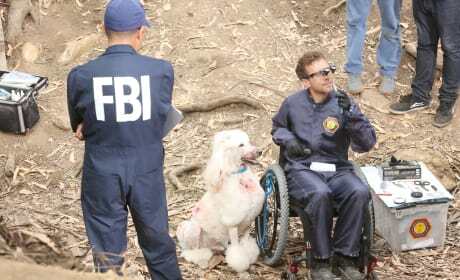 Hodgins has to get evidence off of a show dog after it rolls around on a corpse at a crime scene on Bones. An elderly man's body is found in an acid dump on Bones. "The New Tricks in the Old Dogs" is the third episode of the show's 12th season. 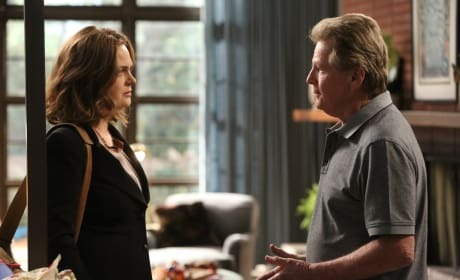 Turns out that Brennan has a surprise for everyone else at her birthday party on Bones. "The Brain in the Bot" is the second episode of the show's 12th season. Zack and Booth seem to be getting along just fine, but then why did Zack cut Booth's face out of his wedding photo? 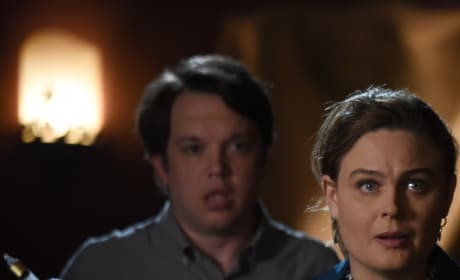 When he and Brennan look over all of the evidence, even Zack begins to wonder if he may be The Puppeteer. 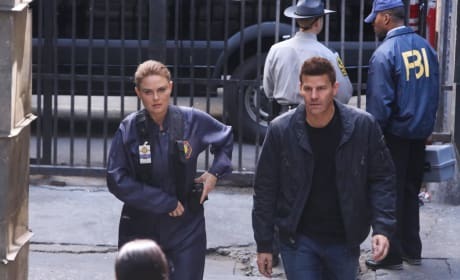 Booth frantically searches for Brennan after Zack abducts her on the Bones season premiere. "The Hope in the Horror" is the first episode of the show's 12th season. 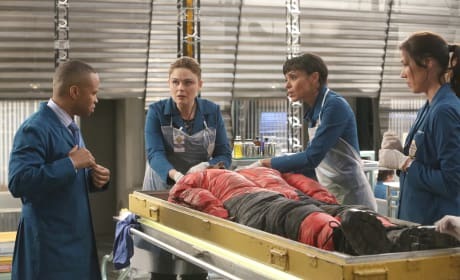 Zack abducts Dr. Brennan as the team scrambles to find her on the season premiere of Bones. "The Hope in the Horror" is the first episode of the show's 12th season. 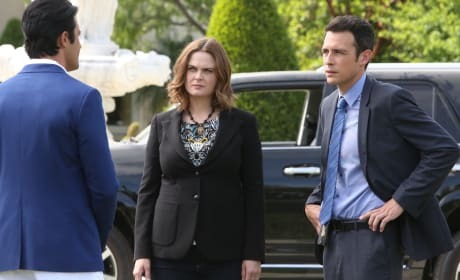 Brennan and Booth try to track down one of the creepiest serial killers in the Bones season 11 finale. Brennan feels guilty over not catching the serial killer the Puppeteer on the season finale of Bones. "The Nightmare in the Nightmare" is the 22nd episode of the show's 11th season. 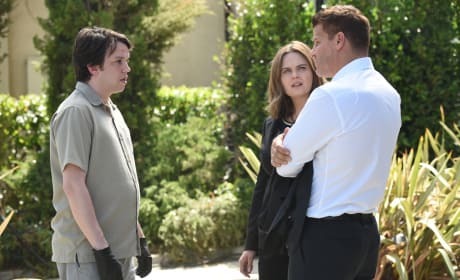 Brennan and Aubrey work together when Booth has an eye issue on Bones. "The Jewel in the Crown" is the 21st episode of the show's 11th season. 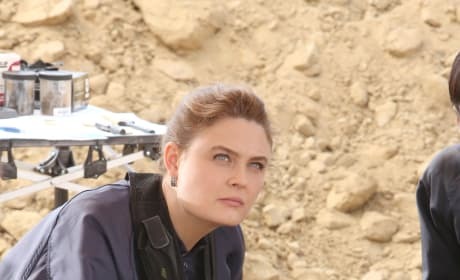 Someone from the Jeffersonian ends up being a suspect in a murder on Bones. "The Stiff in the Cliff" is the 20th episode of the show's 11th season. Can Booth get Brennan on the ice on Bones? "The Head in the Abutment" is the 19th episode of the show's 11th season.